The medical charity Médecins Sans Frontières (MSF) has released two reports describing attacks on medical facilities it runs or supports in Yemen. The attacks on a hospital in Abs on 15 August 2016 and another in Taiz on 2 December last year resulted in the deaths of 20 people and injuries to 32 others. The charity says that as a result of the Abs bombing, it withdrew from six hospitals in the north of the country. 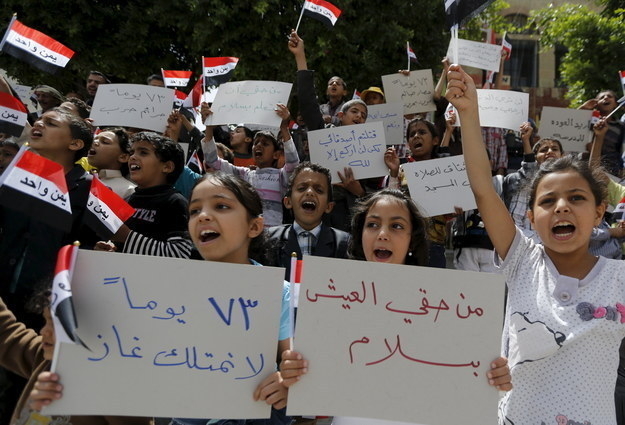 A months-long campaign by Saudi Arabia and its Sunni allies in a bid to reinstate the president, Abd-Rabbu Mansour Hadi, and hold back Houthi rebels, has provoked widespread concern over the impact on civilians. An internal Saudi report into the bombing in Taiz released in August concluded that the Coalition had been targeting Houthi militia nearby and damage to the mobile medical unit was a result of collateral damage. The findings are sure to put pressure on the British government, which has faced mounting criticism due to the fact it has overseen the sale of over £5.6 billion of military licences to Saudi Arabia, which is leading a bombing campaign in the country, since 2010. This week, in what appeared to be a shift in policy, it put its name to a call at the UN to set up an independent mission to report on human rights abuses. Politicians are divided over the issue: A recent parliamentary inquiry ended with the committee responsible claiming leaks “undermined any possibility” of agreement, two competing reports, and an MP demanding private investigators be called in. The government is also facing legal action from activists over the sales, with Campaign Against Arms Trade (CAAT) bringing a judicial review in the high court. The government has been told by CAAT’s lawyers that evidence it provided was potentially “inaccurate” and “materially misleading” as a result of a series of corrections to parliamentary statements that it had been forced to make. Andrew Smith of CAAT said: “The Saudi-led bombing campaign is having a devastating impact on the people of Yemen, and the UK government is complicit in it. The bombing of hospitals is another terrible reminder of the indiscriminate impact of the assault.